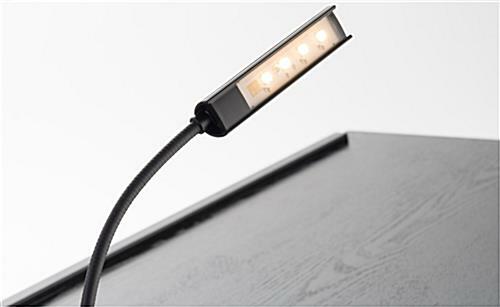 This Podium Light Packs a Bright Light into a Small Package! 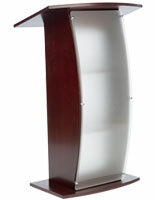 This LED Lectern Lamp is a Popular Display Product! 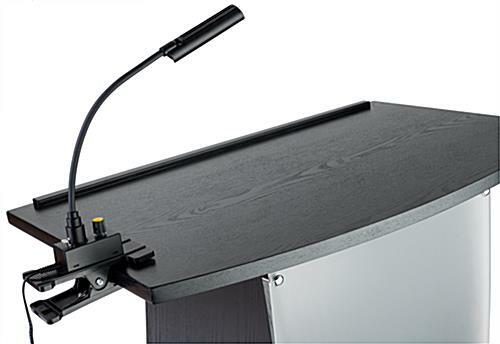 This podium light illuminates an orators notes. 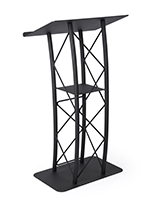 This podium light, such as a lectern lamp, has a flexible gooseneck so it can be easily adjusted to just the right angle for a presenter. 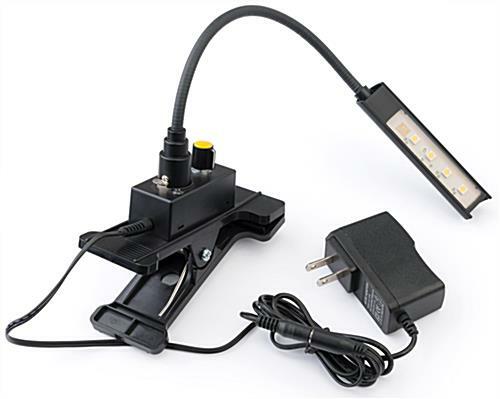 This LED lamp, a podium light is sold with a clip-on base that will attach to most podiums. 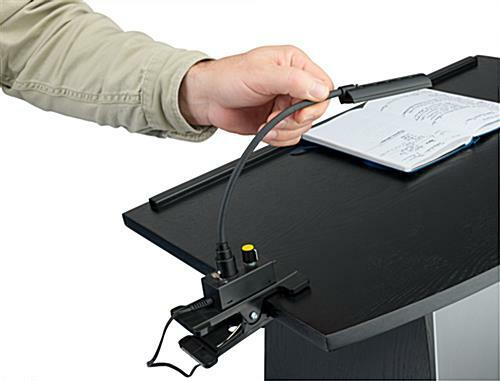 A podium light that is attached by a clip is convenient because this light is not permanently attached to any lectern. 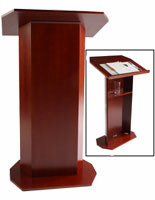 As long as a lectern has an edge that is less than 1-1/2" thick, this clip will hold the lantern in place effortlessly. 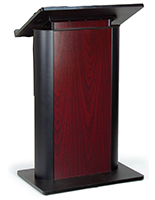 If your lectern has an exposed edge on the top of the pulpit, side, or a reading surface shelf, any area with a 1-1/2" thick exposed edge will do. 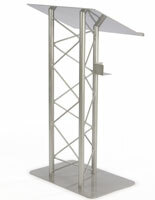 This podium light, a lectern lamp or a presentation lighting accessory, can flex in any direction. This lamp fixture, podium light has a dimmer dial. This dimmer switch can tune a podium light from its brightest setting down to its lowest setting and also turn it off. There is also a 3 position additional switch on the top of the lightbulb housing that can be clicked to dim to full or half brightness, and also turn it off. 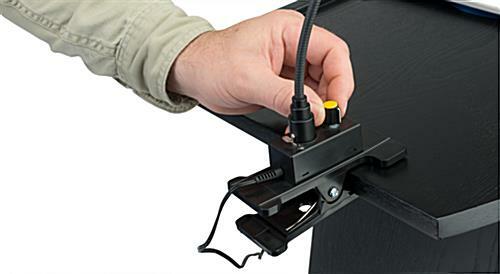 This lamp connects to the dimmer base by a XLR connector. 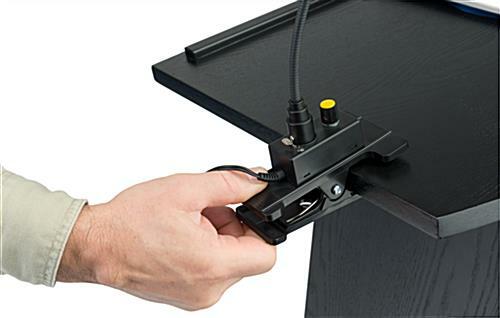 If you have a sound system with a spare XLR connection, you could connect the LED presentation lantern directly into your sound system if you find that to be more convenient in certain situations. 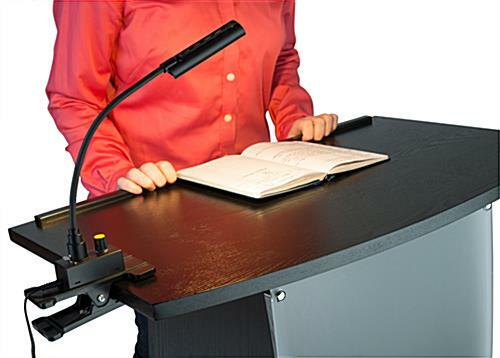 A light-emitting diode bulb is the new modern way of lighting your presentations with a true color beam that makes reading notes in pen, pencil, printed from a laser printer or ink-jet printer or text highlighted as easy to read as if you were sitting at your normal desk. 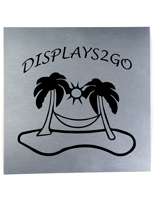 A LED lighting accessory offers wide dispersion so there is no hot spot. 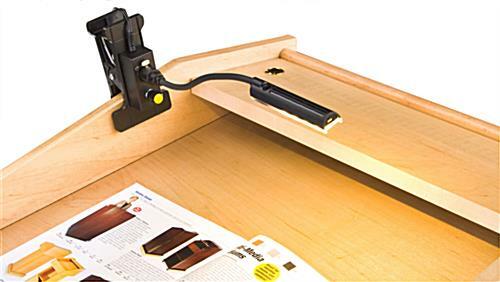 The whole desktop is evenly lit, making it easy to read anywhere on a desktop. 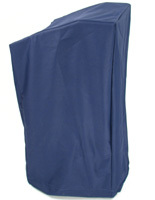 6.5" x 16.0" x 5.0"